Lloyd's Gas & Oil Heating specialise in the installation of Gas Oil Boilers, only installing the most energy effiecient leading brands - Baxi, Worcester Bosch, Potterton and Mistral. These leading Gas & Oil Boiler manufacturers all carry 'The Energy Saving Trust Logo' and are "Which? Best Buy" reviewed for Price, Reliability, Efficiency and Power. Older standard effect boilers convert as little as 60% of the fuel they use into heat which has a big impact on your heating bills wasting lots of valuable energy. Modern 'A' rated condensing boilers improve efficiency to over 90% which could save you a minimum of 30% per year on your heating bills, which represents a big saving over the lifetime of your boiler. 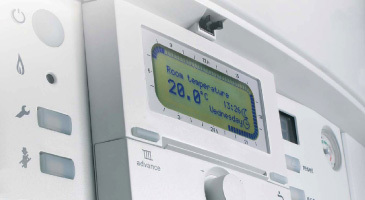 Depending on your heating and hot water demand there are many different types of condensing boilers that are available, Lloyd's Heating can offer advice for the best boiler to suit your requirements. 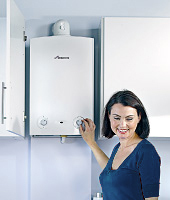 If your are considering replacing your current Gas or Oil Boiler please Contact Us or call 01939 235220 for a no obligation quotation or for any assistance required. 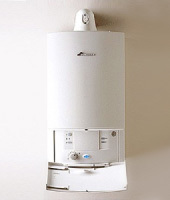 Our Services: Gas Boiler installations,Combi boiler replacements, new condensing boiler fitting, oil energy efficient advice, Oil Boiler installations, replacement boilers, Areas we cover: Shropshore: Adderley, Alberbury, Albrighton, Atcham, Baschurch, Berrington, Bishops Castle, Bridgnorth, Bromfield, Broseley, Buildwas, Cheswardine, Childs Ercall, Church Stretton, Cleobury Mortimer, Clun, Condover, Cound, Donnington, Ellesmere, High Ercall, Highley, Hinstock, Hodnet, Knockin, Lilleshall, Llansilin, Loppington, Ludlow, Market Drayton, Moreton Say, Much Wenlock, Newport, Norton in Hales, Oswestry, Penley, Pontesbury, Prees, Quatford, Ratlinghope, Shawbury, Shifnal, Shrewsbury, Stirchley, Telford, Wellinton, Wem, Whitchurch, Wroxeter, Whittington. South Cheshire – Audlem, Bunbury, Madeley, Malpas, Middlewich, Nantwich, Northwich, Tarporley, Tattenhal, Tilston, Willaston, Wistaston. North Staffordshire – Eccleshall, Croxton, Loggerheads. Mid Wales – Chirk, Johnstown, Overton, Penley, Ruabon, Wrexham. © Oil and Gas Central Heating. 2012 All rights reserved.